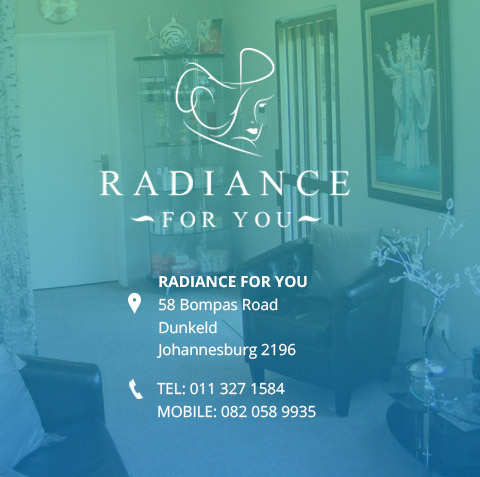 Radiance For You specializes in medical treatments for a range of skin and body conditions. Rosacea is a chronic, inflammatory skin condition and is a form of facial dermatitis. The presentation varies from skin redness to the enlargement of the nose. Histologically, dilated dermal blood vessels; enlarged sebaceous glands and an inflammatory cell infiltrate are seen. Erythematotelangiectatic Rosacea: This is permanent redness (erythema) or a tendency to flush easily. Couperosis (redness) and telangiectasia (visible, enlarged capillaries) are seen. People with Rosacea have very sensitive skin, which often becomes dry and flaky. Untreated Erythematous Rosacea can turn into Acnetic Rosacea. Acnetic Rosacea: This presents with papules (red bumps) and pustules (bumps with pus in) on the permanent red skin. Because of this papulopustular rash, Rosacea can be easily mistaken for acne so it is important to get it diagnosed properly. Phymatous Rosacea. This causes the enlargement of the nose, called Rhinophyma. Thickening skin and irregular surface nodularities are visible. It might also be possible to see small blood vessels near the surface of the skin. Phymatous Rosacea sometimes also affects the chin (Gnathophyma), the forehead (Metophyma), cheeks and eyelids (Blepharophyma), and the ears (Otophyma). Ocular Rosacea: This presents as red, dry and irritated eyes and eyelids. The eyelids often develop cysts as well. Those with these conditions should identify and avoid trigger factors like: sun exposure, emotional stress, hot weather, wind, heavy exercise, alcohol consumption, hot baths or showers, spicy foods and other foods high in histamines, certain fruits and certain cosmetics. During the first appointment with us we will assess and confirm the diagnosis. We will take a full medical history; check and prescribe the appropriate treatment with topical or oral medication, and/or suggest IPL (Intense Pulsed Light for Skin Rejuvenation). For dilated vessels couperosis we offer Lamprobe treatment.